Small can still be stylish. How can we maximize efficiency in a compact kitchen? Share space saving tips. Are there cabinet storage solutions that are helpful for small kitchens? How can you make a small kitchen feel larger? Share style tips for small kitchens! What design elements do you think work well? by adding #KBtribechat to your tweets. There is nothing more American than the holiday season. It doesn’t matter if its Thanksgiving, Christmas or Hanukkah, our attention turns to family gatherings, celebrations, and dinner parties. The holidays are a time for families to come together and create new memories and to share and celebrate time-honored traditions. A time to reconnect with family and friends and to embrace the past through stories, songs, photos and recipes, a time to pass along a family legacy to a new generation. During this time of the year, the kitchen becomes the center of all family activity, a beehive of activity flexible and efficient stage for prepping cooking serving and entertaining holiday guests. The perfect Entertaining Kitchen should be designed in such a way to ensure the success of the home chef and the holiday cooking experience. The Entertaining Kitchen is first and foremost a space for gathering, an arena that provides for everyday function and style, yet leaps into action when called upon. The kitchen must be viewed as a whole as we must understand the harmony and balance of every detail, from the largest stewpot to the smallest teaspoon to calculate the effective use of space, as well as the right appliance features and cooking innovations to ensure that the holiday feast finishes at the right time, uses less energy to prepare and are of the finest quality and craftsmanship. Unlike days gone by, when the kitchen was off limits to all, today we find that everyone is welcome in the Entertaining Kitchen where family and guests or invited, if not encouraged to participate in the ritual of preparation. With proper design and planning, you can make the difference between your kitchen being the life of the party, or a holiday meltdown. During this special time of the year that focuses on family, tradition, cooking and entertaining, who better to guest host (and sponsor) on this topic than family-owned, #KBTribeChat community member Dacor®, the California based manufacturer of ultra-premium kitchen appliances? Join our discussion on Wednesday, November 20th from 2 to 3pm eastern time for a special #KBTribeChat featuring special guest Dacor president and third-generation family member, Steve Joseph, as we discuss the features of the modern kitchen for the home chef who is passionate about cooking and entertaining. Steve will be taking the reins of the Dacor Twitter account for the hour to directly join the conversation. Founded in 1965, Dacor is a manufacturer of ultra-premium kitchen appliances. Designed and built in California, Dacor’s cooking appliances integrate function and technology to create high-performing, intuitive products that reflect the lifestyle and needs of the passionate cook. For nearly 50 years, Dacor has been responsible for many of the innovations that have improved the way people cook in the modern kitchen. Dacor is family-owned and embraces the legacy, heritage and expertise of a third generation to lead the company into a new age of cooking innovation. For more information about Dacor and its products, visit dacor.com. Adding Personality to your Kitchen! This is the work of interior architect Rose Dostal. 2 to 3pm eastern time ~ Wednesdays. On Wednesday, February 6th, Patti Johnson will be hosting #kbtribechat. She will lead us in a discussion on the design features of timeless kitchens. Our twitter chat is from 2 to 3pm eastern time. Join us! 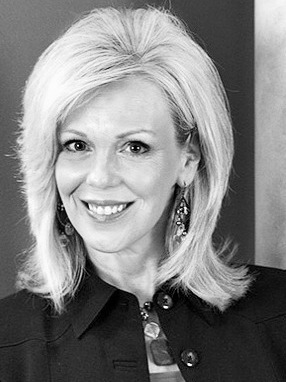 As the owner of Patti Johnson Interiors, a full service Interior Design firm located in Ohio, Patti is a Professional Member of CID and IDS and served as President of The Interior Design Society in Ohio 2008 – 2010. PJI has added Commercial Spaces to her resume and her design work has been featured in HouseTrends, ATHOME magazines and other local publications. As a contributor to various publications writing design advice articles she also engages readers on her blog “Chatti Patti Talks Design” and is currently participating in The Dayton Philharmonic ShowHouse to open this May. Active in Social Media, Patti served as Chief Chat Ambassador for the popular Twitter based Interior Designer Chat for 2010 & 2011, a participant in the Brizo #Blogger19 program and recently traveled to Europe with Modenus as part of Blog Tour London. Patti Johnson Interiors specializes in “Transforming Spaces Into Beautiful Places”, in both residential and commercial disciplines and enjoys working in a collaborative manner with Clients and an established team of professionals to provide solutions and bring the client’s vision to life. On Wednesday, September 19, 2012, kitchen designer Rebecca Reynolds is hosting #kbtribechat on Luxury Kitchen Design. Join us on twitter from 2 to 3pm eastern time to be a part of this discussion. 1.) A COUTURE OR LUXURY PROJECT – WHAT DOES THIS MEAN TO YOU ? HOW DOES YOUR COMPANY EMBODY YOUR DEFINITION OF LUXURY? IS IT BEING ABLE TO HAVE COMPLETE DESIGN CONTROL AND INFLUENCE OVER ALL PRODUCTS? IS IT A CERTAIN PRICE RANGE OR MARGIN TO BE MADE OR A TOTAL JOB COST? IS IT THE VISIBILITY A PARTICULAR PROJECT MIGHT BRING OR CONNECTIONS POTENTIALLY ATTACHED TO IT. IS IT A PARTICULAR NEIGHBORHOOD OR AREA? CAN IT SIMPLY BE THAT YOU PROVIDE COUTURE TO YOUR CLIENTS WHICH IN TURN WILL GET YOUR WONDERFUL REFERRALS? 2.) CAN THERE BE DIFFERENT LEVELS OF COUTURE, MEANING CAN YOU FIND PRODUCTS THAT HAVE BOTH A LUXURY LOOK AND PERFORMANCE IN VARIOUS PRICE RANGES OR DOES LUXURY /COUTURE ALWAYS = MOST EXPENSIVE ? 3.) WHAT FASHION FORWARD COMPANIES IN KITCHEN AND BATH INDUSTRY ARE YOUR FAVORITES AND WHY? IS IT VALUE? ACCOUNT PROTECTION AND LOYALTY? EXCLUSIVITY OF PRODUCT? 4.) HOW DO THESE COMPANIES BRING VALUE TO YOUR BUSINESS THAT TRANSLATES TO ACTUAL REVENUE? 5.) IN UNCERTAIN ECONOMIC TIMES LIKE WE’VE EXPERIENCED THE PAST 3 or 4 YEARS, DO YOU FEEL ITS BEEN IMPORTANT TO CREATE A NICHE FOR YOUR BUSINESS? HOW ARE YOU UNIQUE? DO YOU INCORPORATE COLLECTIONS, ANTIQUES, VINTAGE & ART? 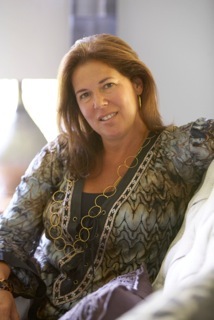 is the founder and principal of New Canaan Kitchens, a boutique luxury kitchen design firm located in Fairfield County, CT.
For 18 years, Rebecca has designed award-winning kitchens for discriminating luxury clients and her kitchen design portfolio contains hundreds of completed projects reaching from Cape Cod, Massachusetts to Rancho Santa Fe, California. Rebecca’s design clients value her genuine approach to listening to their ideas while helping them to discover their own unique style that best suits the architectural integrity of their home and their families needs. She believes that the most comfortable, well-designed homes are the result of great communication, which enhances a common dialogue and a collaborative process between the client and the designer: a layering of shared ideas, beautiful materials and design expertise are essential elements for successful projects. As the daughter of an artist, has a deeply rooted knowledge of art, fashion, kitchen and interior design as well as a passion and talent for cooking. While Rebecca’s clients entrust their kitchen, interiors projects and their home to her, she graciously credits her much of her success and continued referrals to her ”team” of craftsman and suppliers of luxury resources that support and share her vision for design, attention to detail, quality and service. She currently graces the Sept/Oct cover of one the industry’s premier kitchen design magazines, Better Homes and Gardens, “Kitchen and Bath Ideas”. Early next year, a new kitchen project Rebecca designed will be featured on the cover of Better Homes and Gardens, *Beautiful Kitchens* magazine. In addition to Rebecca’s luxury kitchen design work, she’s a speaker at major trade shows and educational industry events like High Point Market and *The Design Camp*. Rebecca is a sought after social media participant at events sponsored by major kitchen and bath design brands. She showcased her culinary talents this year for Capital Cooking, makers of luxury cooking appliances, where she headed the team that won the designer challenge cook-off at Dwell On Design 2012 trade show in LA. She is an invited participant with 18 other designers from around the country to participate in Brizo’s Fashion Week with Jason Wu at the Mercedes Benz Fashion Week 2012 in New York City. Rebecca will be expanding her portfolio of services to embrace online design. She’s excited to be consulting for the next generation of young consumers who have an appetite to co-create their kitchens and interiors, are empowered to do so and yet understand and value the need for Rebecca’s sought after design style and project management expertise. Here is the transcript for this kbtribechat on Luxury Kitchens. On August 1, 2012 we will be giving our advice on Kitchen Renovation Mistakes to Avoid at #kbtribechat on Twitter from 2 to 3 pm eastern time. Please join us! 1.) What are the biggest Kitchen Renovation mistakes to avoid? 2.) 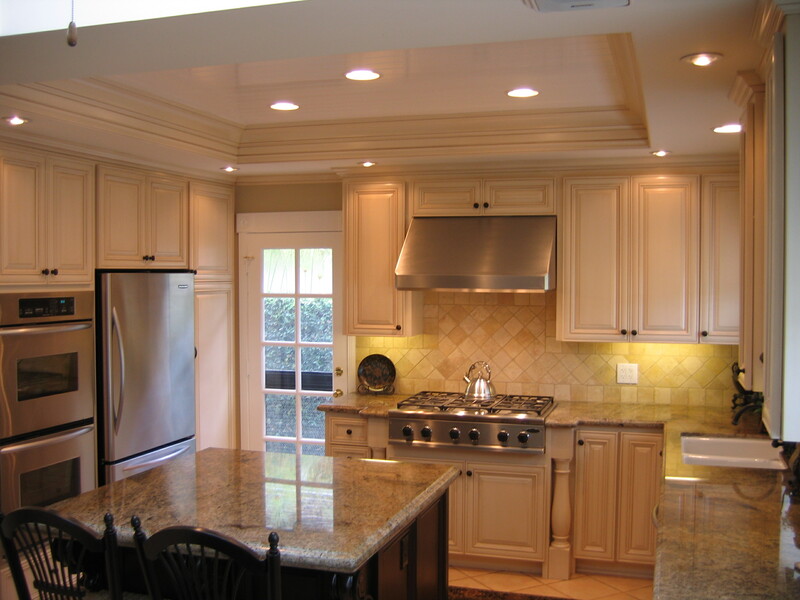 New counters and flooring – old cabinets – a good idea? 3.) Any Kitchen Island blunders? 4.) 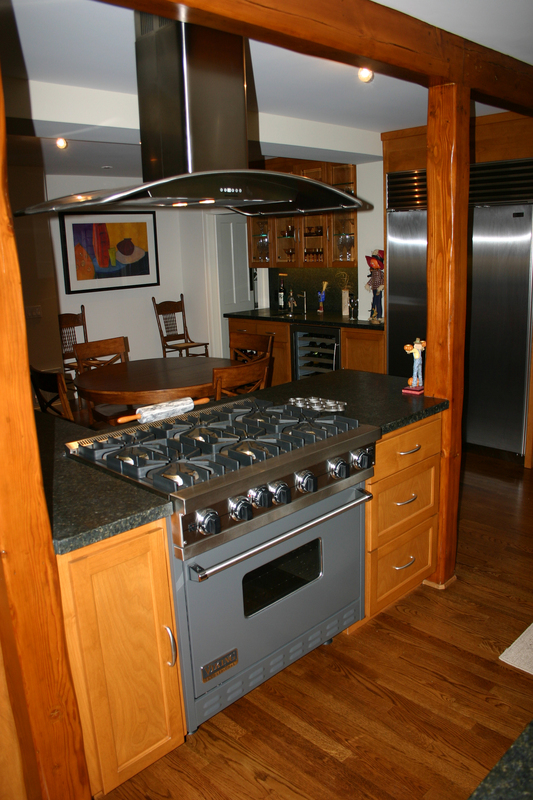 What mistakes regarding Appliances should be avoided? 5.) Any cabinet storage mistakes to avoid? Here is the transcript to this very informative chat! Kitchens! – What’s Trending Now? On Wednesday, June 13, 2012, we will be discussing Kitchen Trends at #kbtribechat on Twitter! Join us from 2 to 3 pm eastern time. 1.) What cabinet styles are trending? Describe them. 2.) 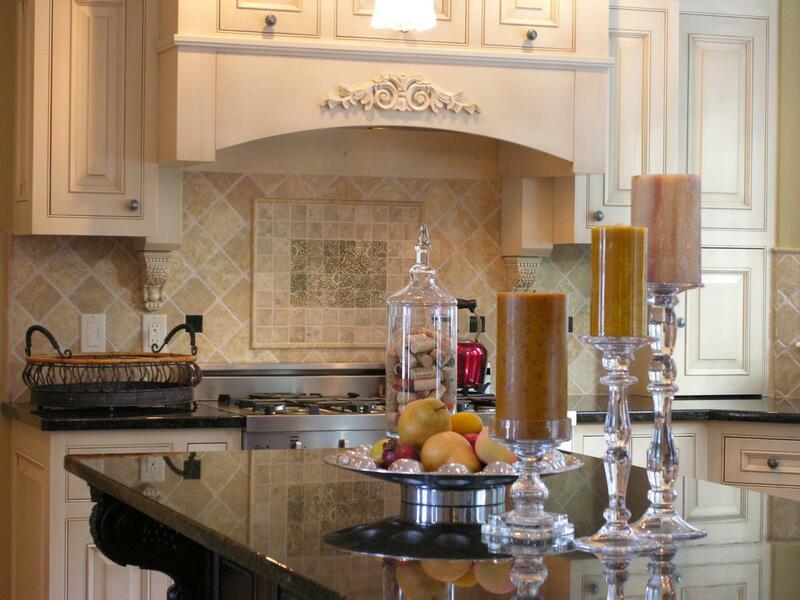 What countertop and backsplash materials are you finding popular now? 3.) What colors are trending now in Kitchens? 4.) Are you seeing any plumbing fixture trends? What styles? What finishes? 5.) Are you seeing any appliance trends? 6.) What’s trending in kitchen lighting? 7.) Do your clients what certain storage solutions? Click here to see the transcript of this kbtribechat!